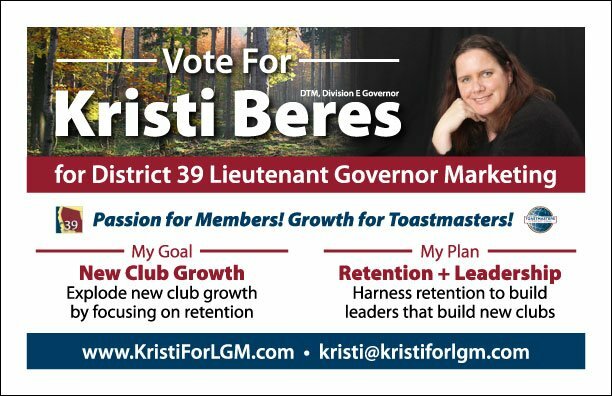 Political campaign flyer for Kristi Beres. Office: Lieutenant Governor Marketing for Toastmasters, District 39. Political campaign design: full-color, 1-sided, 8.5″x5.5″ flyer.